Monique Holiday has been painting for as long as she can remember. Her father, Leland Holiday, is her inspiration. He has been a professional artist from a very young age, and Monique remembers loving his bright colors and expressive paintings. Monique enjoys mixing lots of colors in her acrylic paintings and creating portraits of animals and people. Her creative energy has already earned her a significant following at Toh-Atin Gallery. In high school she had the good fortune of having a great art teacher who encouraged and inspired her. He suggested she enter a local art show, "Young at Art." Monique competed against 94 students from the Four Corners area and took 1st place. 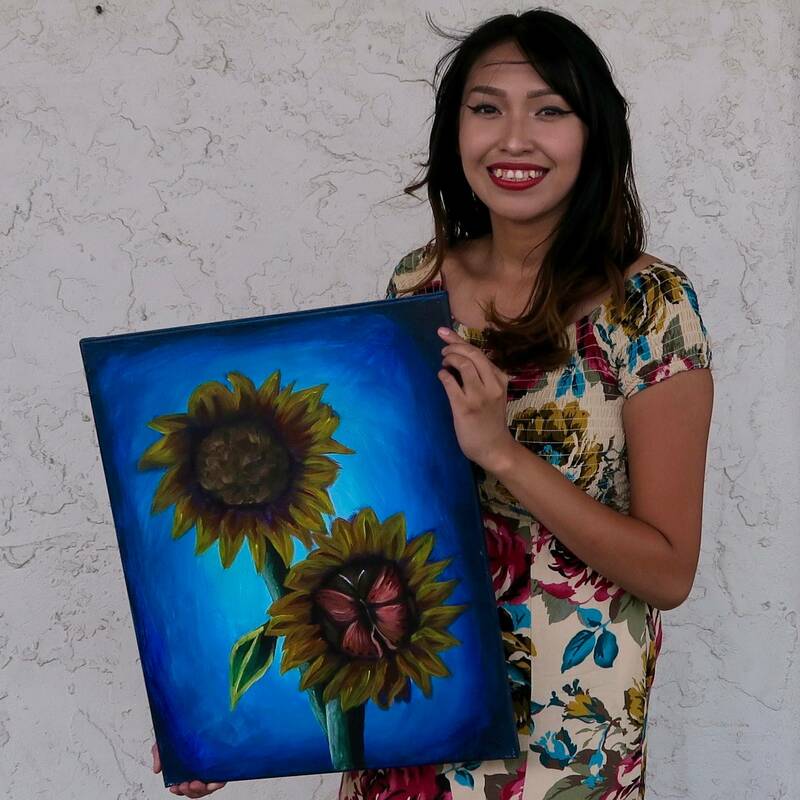 Still in her early twenties, Monique holds an Associate of Liberal Arts degree from San Juan College and she plans to pursue a Studio Arts degree at The Institute of American Indian Arts.